I consider myself pretty lucky that this morning I lovingly crafted myself a vanilla latte (the sachet ones you mix with hot water) – I didn’t drink it. It’s currently sat by the kettle going as cold as I am out on the school run, waiting to be poured down the sink on my return. The point is I made something for myself, the fact that I didn’t get to enjoy it is completely irrelevant. You’ve used that one right? So I probably haven’t blended very well and my ‘sisters not twins’ brows look as though they’ve disowned each other but I have managed to conceal the god awful bags under my eyes and that is a win worth celebrating! The thing is, I am so used to doing the walk of shame with the kids, it simply doesn’t bother me any more. The walk of shame I speak of, is the one where you walk against the flow of parents who’ve already dropped their darling little ones off at school. The ones who have 10 minutes to chat in the playground whilst waiting for the doors to open. The ones who’s children run around with their friends playing games before the school day starts. I used to rush past, embarrassed and yes in that fluster too, but now I smile sweetly and sigh. It’s uncanny. No one would believe we are all up and ready for school, washed, dressed and breakfasted by 8 o’clock. What’s more is we’re all ready to leave by 8:15. Never mind breakfast dishes haven’t been washed, I’m just proud to be wearing socks that match. So why are we always late? Something just goes terribly wrong between then and arriving at school. Sonny is generally overwhelmed by his surroundings and is often sent into meltdown when our routine is disrupted. This could be because it’s bin day and the bins are blocking our path. It could be because Riley is walking too fast and he can’t keep up. It could even be because school makes him extremely anxious so he complains of feeling sick or needing the toilet every 2 minutes. I try to be as organised as possible and there are a few things I have made a habit of doing in order to save time and achieve a much less stressful weekday morning. I set up the pushchair and buggy board by the front door so it’s ready and waiting for littlest to jump in when its time to go. We get downstairs as soon as possible and once were downstairs, none of them are allowed back upstairs unless absolutely necessary. Keep toothbrushes etc. in your downstairs bathroom if you have one. This helps with the above! Prepare as much in advance as you possibly can. For me, I prepare an entire weeks worth of uniforms and outfits for the youngest and organise them in to 5 drawers for each day of the week. I even go as far as pants, socks and nappies for the little one. Shoes, coats and bags are always waiting by the front door ready to grab and go when it’s time to leave. Make your clocks 5 or even 10 minutes fast so you are always ahead of schedule! This one really helps us. Split your morning into smaller chunks and allocate set amount of time for each. For example, 7 to 7:30 everyone is washed and dressed, 7:30 to 8 everyone has eaten breakfast. 8 to 8:30 everyone can play or watch TV until its time to leave. Visual prompts for younger ones who can’t tell the time. Even if it’s what TV programme is on means it’s this time. For us we put coats and shoes on when Peppa Pig starts. In a bid to break our manic morning ritual I asked my fellow parent bloggers to share what tips and tricks they hold up their sleeves. I always get the lunches and uniforms all set out in the evening because I know I’m always going to choose 10 minutes extra in bed over getting up on time haha! I try and write a list of anything that is happening that week – show and tell day, forest school, when homework needs to be in etc. and put it on the fridge so I can check it in the morning. I also have a 5 minute warning alarm on my phone so I know to get a move on with getting them out the door! I won’t let my three (aged 5 and under) watch TV, touch their tablets or toys until breakfasted, dressed and ready. Also have timers! I have a laminated checklist on the wall with the things my 5 year old needs to do to get ready for school, she checks them off then can write the time completed at the bottom. It doesn’t always work but helps to remind her of what needs doing in the morning. We love having things like overnight oats or breakfast muffins in the morning, that way it takes no time at all to prepare breakfast! When I get up, I make Oliver get dressed and brush teeth before we go down for breakfast. That way I know that once he’s eaten breakfast he’s pretty much ready to go. He also has his own peg with all of his bags on as well as coat and any other seasonably appropriate items – hats, gloves, sunglasses, umbrella etc. We just have a very set routine: bags packed the night before / get up on the alarm / lay out uniforms > wake kids / dressed, washed, teeth, hair / downstairs to put on shoes / eat breakfast (while I pack lunches in their bags) / put on coats then out of the door. I don’t even need to check the clock anymore as it’s second nature. But it relies on me getting up on the alarm – and there’s been a few near misses!!! 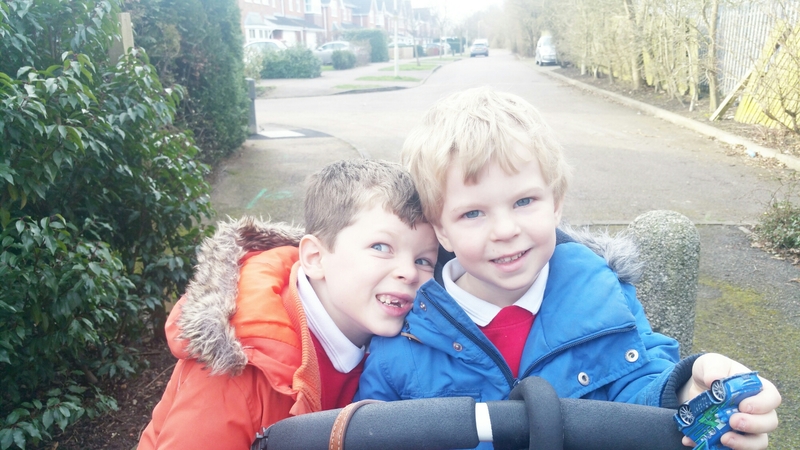 Home school – it’s the only way to avoid the school run chaos! (Mind, then you’d have to spend all day with the little horrors…..so pros and cons?). I lay the kids uniforms on the radiator on the hall so they grab as they wake up. Mine I place in the bathroom the night before so I can jump in the shower and get dressed straightaway. All book backs etc. are placed in a crate by the front door to grab on the way out. I’m sure you all have a brilliant way or two not yet mentioned when it comes to making your school mornings run smoothly. Our morning is driven by Number One’s impeccable time keeping. If we are parked outside the school ready for her to leave the car at 8.41 (the doors don’t open until 8.45), a meltdown is avoided- if not then I am in big mummy trouble. Unfortunately Number Two’s bowels have not yet learnt the importance of this fact, and he has a tendency to ‘go’ at just the wrong time. 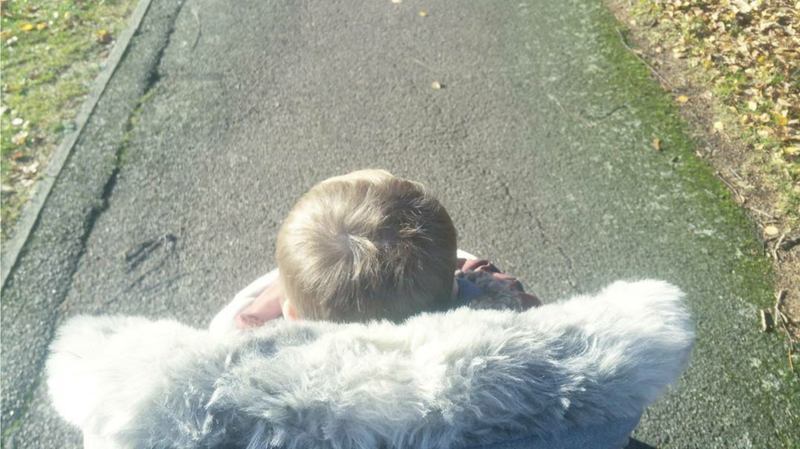 I have no idea how we’ll get on when he’s older.. thank you for linking this post up to #PosrsFromTheHeart and making me feel a little more normal.